Students as consumers? Or not? Unfortunately things aren’t quite as straightforward as they first appear. Higher education is not just like any other business and there are real issues with the information available to assist prospective students. However, student behaviour is changing and there is some evidence that they are becoming rather more demanding. We are all consumers. We are all customers. In every aspect of our lives we are treated more than ever before like this. In choosing schools for our children, in hospital selection and which bus company to use we are expected to behave as consumers. And these are public services. Not to mention the bewildering choice we face when making a more straightforward product choice, for example for a vacuum cleaner or a tin of beans. 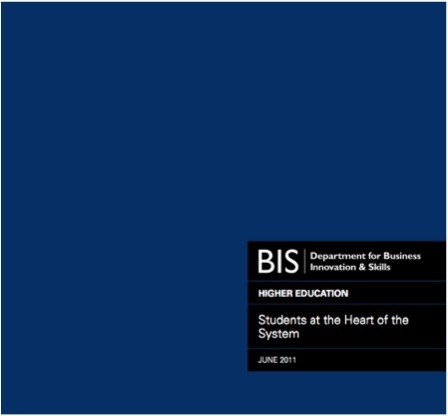 However, higher education is a slightly unusual kind of business and differs from other businesses in a number of ways. Obviously that’s not all of it, just the opening. The full piece is available via the Guardian Higher Education Network. So, students as consumers? Or not? School leavers applying to English universities will get more data about courses under government plans to treat them more like consumers. A food labelling-style system will flag up teaching hours, career prospects and seminar frequency, says the Department of Business, Innovation and Skills. On Tuesday, it will announce a new framework for higher education. The plan aims to set out priorities for universities ahead of a review of the way students fund their education. Tuition fees were introduced in 1998 and Business Secretary Lord Mandelson believes this entitles students to act more like consumers. He has said government and industry must scrutinise and monitor courses on behalf of students, encouraging “a greater degree of competition between institutions” to drive improvement in courses. His department already publishes statistics on employability after six months and three-and-a-half years, but the latest plans would put information in one place. This could include graduates’ typical future earnings, contact hours with tutors, assessment methods and frequency of tests. It really isn’t at all clear how this is going to be in any way an improvement or of real value to prospective students. Consolidating small pieces of information into one place in this way suggests that a much more superficial assessment of quality is the aim here. And how is it going to be decided what is red and what is green? Let’s hope that the real proposals are a bit better than this implies. GPA v Degree Class: a "Goldilocks" solution?